The stretch between Thanksgiving and New Year’s is the busiest retail season of the year, generating nearly $600 billion in sales. Second on this list, however, is the back-to-school shopping season, with consumers spending an estimated $30 billion for the upcoming academic year. Although back-to-school shopping is incredibly lucrative for the retail industry, many parents dread this annual ritual. As a merchant, you can boost sales if you implement strategies that make the shopping experience as hassle-free as possible for your customers. Below are five simple ways you can help take the stress out of this year’s back-to-school shopping season. Offering sales is important during any shopping season, so it’s no surprise that merchants start to promote school-related discounts in the weeks leading to Labor Day. Yet, roughly 28 percent of consumers start shopping for back-to-school gear a full month before the school year begins. An additional 27 percent start even earlier, during summer break. That’s more than half of all potential shoppers. By promoting your discounts a little earlier than normal, you can start targeting these deal-seekers long before the shopping season officially begins. There was a time when back-to-school shopping was heavily weighted toward picking up “school” supplies such as binders, pencils and backpacks — but in 2018, this is no longer the case. Approximately 60 percent of parents say they now spend most of their money on clothes. Only 16 percent divert the majority of their financial resources toward academic supplies. This shift might be bad for society, but if you sell both school supplies and clothes, the message is clear. When it comes to displays, floor layouts and discounts, you should direct most of your attention to fashion. For better or worse, it’s what the public wants. Promoting your in-store (or on-site) discounts can boost sales, but this only works when shoppers are physically (or virtually) in your store. However, you can extend your reach by promoting sales through coupons. You’d be surprised how many parents look for the hottest deals — off-site. Interestingly, social media only represents 8 percent of the “coupon pie” for back-to-school shoppers. Throughout most of the year, e-commerce tends to outperform brick-and-mortar shopping. Merchants that operate both online and off usually choose to optimize the web version of their stores more. Nostalgia could be one explanation for this unusual school shopping trend. Perhaps today’s parents want to provide their kids with the same experience they enjoyed (or dreaded) many years ago. This doesn’t mean you should ignore your online customers. Your website still needs to be optimized for online traffic. This is especially true for the mobile version of your site, since smartphone browsing officially surpassed desktop browsing in 2016. However, the bulk of your sales will likely come from in-store shoppers. Thus, the bulk of your preparation and spending should go toward the brick-and-mortar part of your retail operations. Nostalgia aside, most parents don’t really relish back-to-school shopping. After all, they usually have the kids in tow. Retailers are quick to exploit the “nag factor” by positioning toys and games at the optimal eye-level for impressionable, young children. Whether you do the same is entirely your call. But here’s what’s important: During the back-to-school shopping season, you’re ultimately selling to parents — not kids. Plus, you’ll get a lot more mileage if you make shopping as easy as possible for mom and dad. With the right discounts and promotions, you can absolutely help your customers save money — but what parents really want to save is time. One way you can help them do that is by optimizing your checkout process to keep lines moving as quickly as possible. This means training your employees to no longer require signatures at the cash register (since credit card companies officially dropped this requirement in early 2018). Another strategy is to replace older POS terminals with NFC-enabled readers. Doing so will allow your customers to make contactless payments instead of following the much slower swipe-and-sign or dip-and-PIN ritual. Finally, consider investing in mobile credit card readers. With minimal setup, you can transform all of your store’s smartphones and tablets into portable POS machines. This allows your employees to roam the store and help customers check out without waiting in long lines. It’s a bit counterintuitive — trying to get your customers out of the store as quickly as possible. 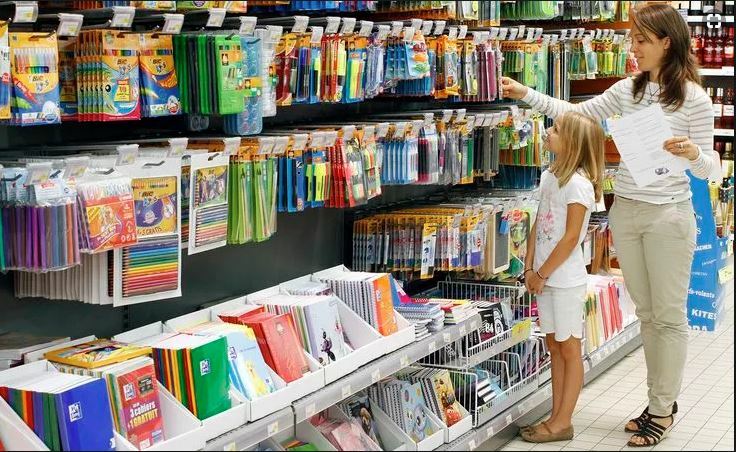 Still, making the back-to-school shopping experience faster and more convenient can ultimately help you generate more sales per unit of time. This means more profits for your store. If you have questions about optimizing your store’s payment environment, we specialize in helping retailers streamline the payment processing experience for optimal results. To get started, schedule a free consultation with our merchant services team today.